Santorini is one of my favorite islands in the World. What a beautiful island! 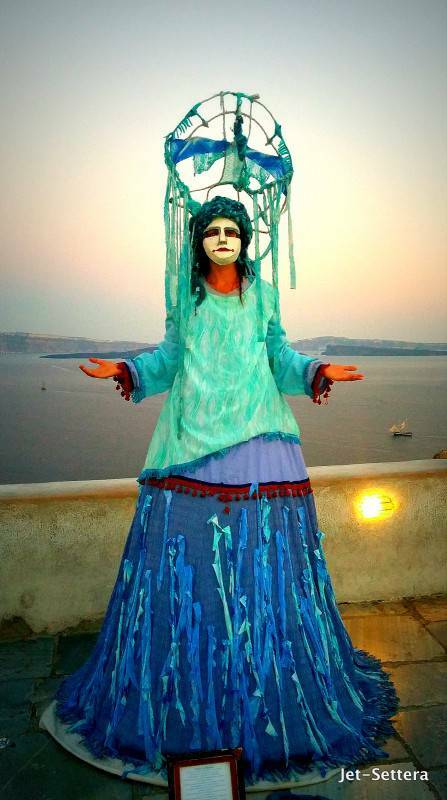 There are so many things to do in Santorini for all kind of tourists. Whether you go there on a romantic getaway or on a family vacation or on a solo trip, you will surely enjoy your time on this magical island. There is a wide range of hotels in Santorini catering to budget travelers as well as to tourists, who are willing to splurge. To read more on Santorini hotels, click here. It’s a volcanic island, therefore the mountains take all sorts of shapes and colors. White-blue little buildings and churches populate the sides of the mountains making Santorini so picturesque. Where is Santorini? You may wonder. Santorini is a Greek island in the Southern Aegean Sea. it is situated 200km far away from Greece’s mainland. 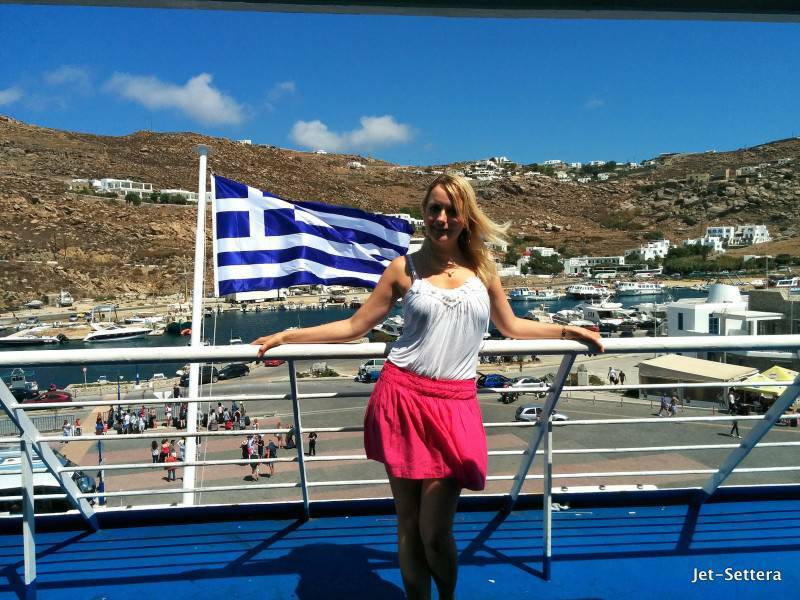 It is the southernmost member of the Cyclades group of the islands. If you are wondering how to get to Santorini, just check the ferry schedule if you are coming from another island or from Athens. You can also fly directly to Santorini from other countries as the island has an airport. We took the ferry from Crete. The journey took less than 2 hours. There are 2 ferry companies operating in between these two islands. Read about the best Greek Islands for couples. The weather in Santorini, Greece is very sunny from May to the beginning of September. This period is the best time to visit Santorini. It is the ideal romantic destination for couples. The beaches in Santorini are some of the most stunning beaches of Greece. Santorini island in Greece is definitely the most diverse island of Europe. We rented a car to get around the island and to discover the best Santorini points of interest, but the reality is that you really do not need a car to get around. You can do very well with taxis or buses. Exploring this colorful volcanic island is one of the best things to do in Greece. If you are wondering where to stay in Santorini, you should stay in Fira, as this is the largest town in Santorini and from here, you can easily access buses to reach the nearby towns. This is certainly the best place to stay in Santorini. 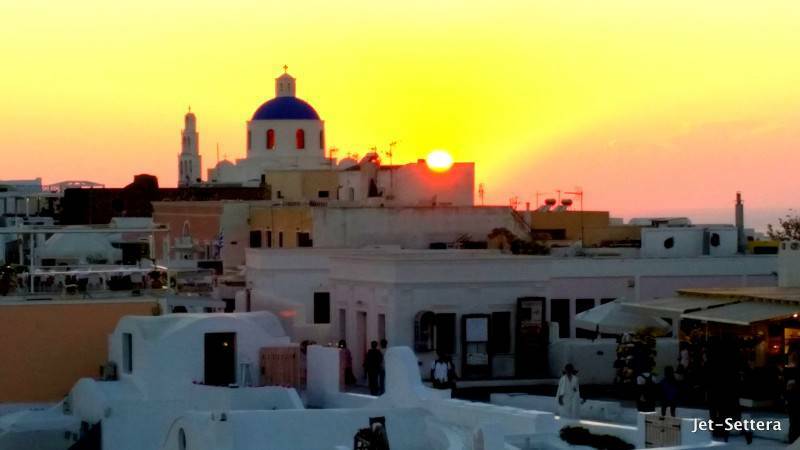 If you are wondering what to do in Santorini besides laying on the beach, head out to see the sunset in Oia. Oia is on the northern tip of the island and you can see the most spectacular sunset from there. You could see the entire island below you from there as the sun was going down. It was stunning. The architecture was beautiful. We walked along the coast to the end of the island to the highest point to see the view from up there. We checked out all the cool stores along the way as well as some of the traditional Greek Orthodox temples. 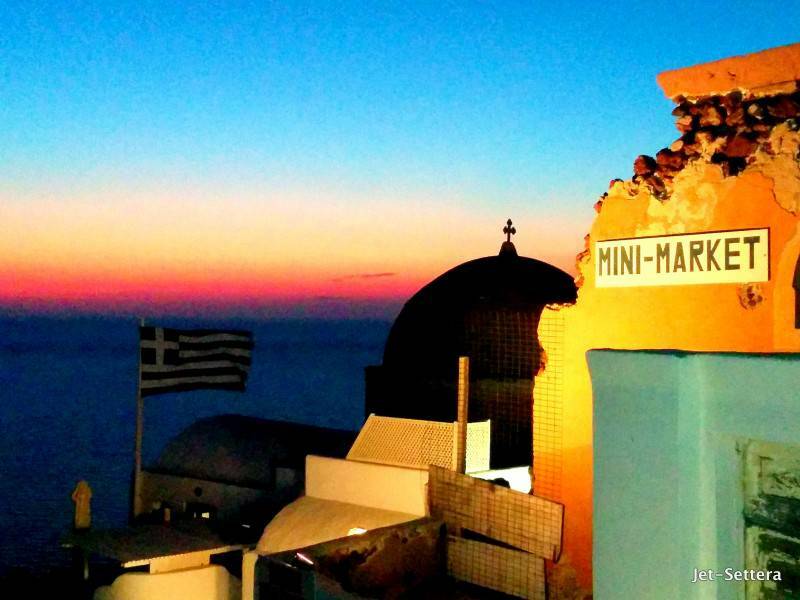 Watching the sunset from Oia is one of the top things to do in Santorini. The view was amazing from up there. Once the sun set, we rushed back to Fira where our hotel was, because we had a reservation in the best restaurant in town. The restaurant was called Koukoumavlos. 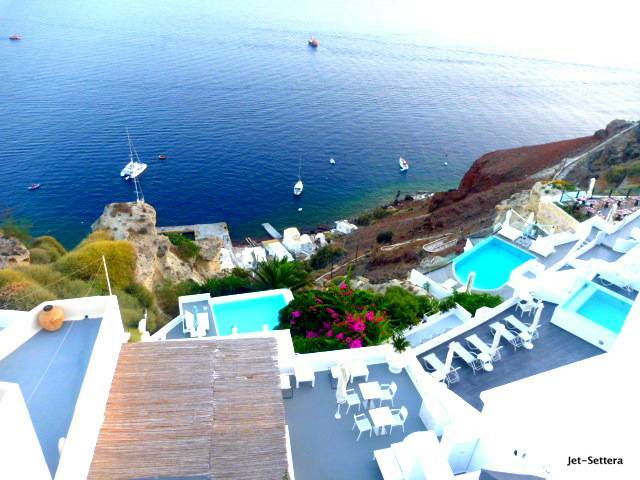 Fira is the best area to stay in Santorini because all the best hotels and restaurants are located here. The food was unique in the restaurant. 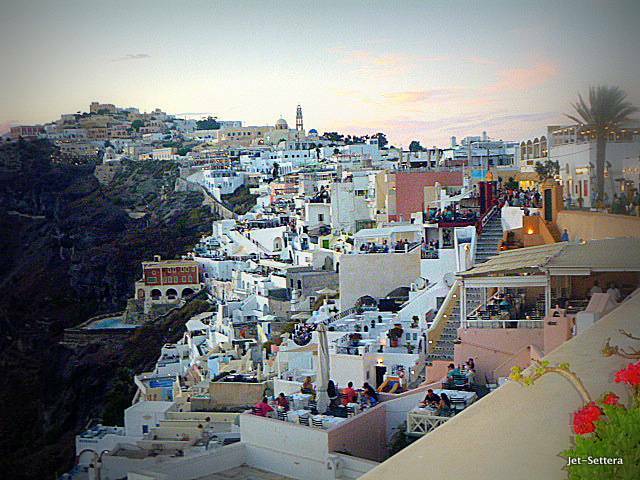 This place prides itself on having the best view of Santorini of all the restaurants in town. It certainly had a beautiful view as well as beautiful food. Enjoying a candlelit dinner while admiring the view of Santorini island and the sea is one of the best things to do Santorini. Next morning we drove around the island. Discovering the colorful beaches of the island is one of the best things to do in Santorini Greece. We stopped in Pyrgos visited some churches on the top of the mountain. Everything was white and blue. The scenery was beautiful. The mountains were colorful. We spent the afternoon on Perivolos beach. 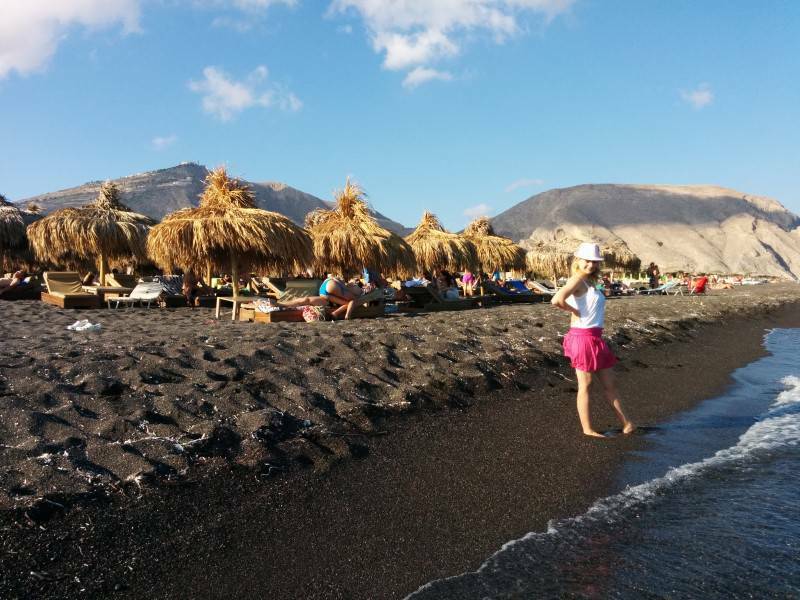 It is the famous black beach in Santorini. Visiting the colorful beaches of Santorini is one of the best things to see in Greece. After having some beautiful food in a restaurant, we laid on the beach for hours. The sand was black and the water was crystal clear blue. I loved the beaches so much! Later on, we drove to the red beach. This was definitely one of the best beaches of Santorini. We parked the car and hiked over a mountain and behind the mountain was the red beach with beautiful red sand. Because of the volcano, the colors of the beaches were red and black and white on the island. It was very special. I have never seen anything of this sort before. We also dropped by the white beach on the way home. The white beach in Santorini is a must for everyone to visit, who visits the island. 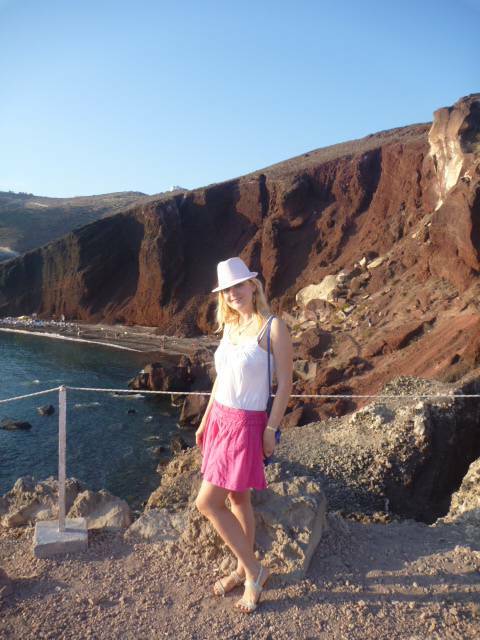 The red, the black and the white beaches are the best beaches in Santorini. Visiting these beaches are the best things to do in Santorini. At night, we went to Mama’s House in the center of Fira. This place made the best home cooked Greek food I had during my trip to Greece. This is a cheap place but the food is so great! I had an eggplant dish with lamb. It was so tasty. It was covered with melted cheese on the top after that we had the chocolate lava cake. We took a walk after dinner around the town to explore some more of this beautiful city. 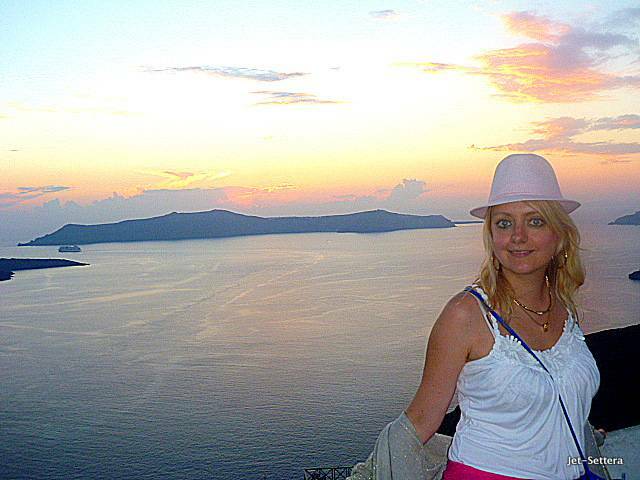 I loved this trip to Santorini. This island was really beautiful! Next morning we took off for Mykonos. I was wishing I could have stayed longer on this beautiful island. It was the highlight of the trip. Tagged luxury long weekend in Santorini, the colorful beaches of Santorini.